Pro golfer’s horse wedges way into Jewels. 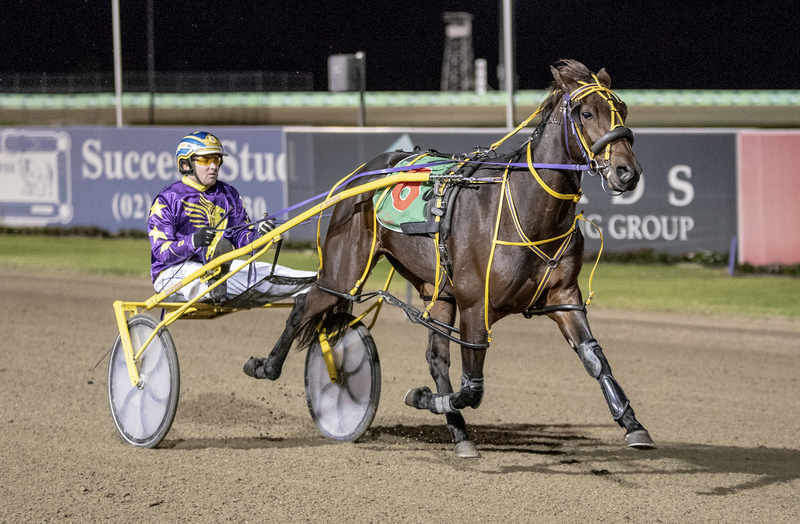 Juvenile pacer Petes Big Jim will take his place as the Australian representative in this year’s Two-Year-Old Emerald at the Harness Jewels. The Jewels, which will take place at Cambridge Raceway, New Zealand on June 2, is breaking new ground with an unprecedented amount of Australian invitations now issued at seven. Petes Big Jim has had nine starts for two wins and four placings. The son of Big Jim emerged as a possible Jewels contender when finishing second behind College Chapel in the Group Three Sapling Stakes at Club Menangle in February, with fellow Jewels invitee Platinum Revolution in third. Pete’s Big Jim finished fourth behind winner Shoobee Doo on Saturday in the Group Three Rod Fitzpatrick Memorial at Club Menangle. Owner Peter Kohlsdorf, better known as an Australian professional golfer, was elated to receive the invitation, as he had been dreaming of his horse competing in the Jewels . “I’m over the moon. I’ve been working really hard with Darrin Williams trying to obtain this invitation,” Kohlsdorf said. “I’ve actually been an enthusiast of harness racing since the late sixties, but I never had a horse until four years ago. “My wife always said ‘you can punt as much as you want but you’re never going to feed one’.” Kohlsdorf operates the largest independent golf operation in Australia, Pete’s Golf Connection, which features a 1500m golf showroom, day and night driving range and mini golf range based at Canberra Inter¬national Golf Centre. His claim to fame was when he came second in a Pro-Am event as a 21-year-old, finishing three shots ahead of golfing great Jack Nicklaus. Kohlsdorf said he was proud to represent Australia in another sport. The full interview is available at www.hrnz.co.nz. Five at the moment, but there can only be one!